Sunday night our dear friend Brenda Burke lost her home and everything she has worked so hard for in the devastating wild fires in Napa County. She escaped the consuming blaze with only her dog and the clothes on her back. 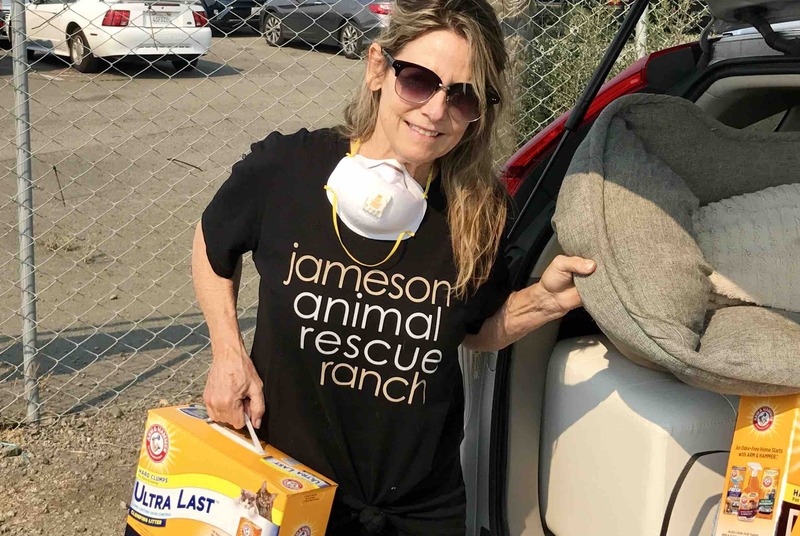 Brenda has dedicated her life to Jameson Animal Rescue Ranch, a not-for-profit, no-kill rescue and sanctuary in the Napa Valley for animals in need. In typical Brenda fashion, she has put her own needs second and thrown herself into her animal rescue work, saving traumatized animals that were left behind in the haste of the evacuations, and providing resources to displaced animals and families. Brenda has touched countless lives with her compassion and generosity. Friends and family have been asking what can we do to help? As she is currently staying with family, we decided that this would be the best way to help her rebuild her life. Thank you for your kind donation. Valerie O'Pry from Napa California is managing the funds for our campaign beneficiary Brenda Burke. Friends and family are helping raise money for Brenda to help her acquire housing and replace her belongings that were destroyed in the Napa wildfires this month. We will be withdrawing the funds and presenting Brenda with a check when we reach our goal. We are very close. We have almost reached our goal thank you so much for your compassion and generosity.